Confession time. 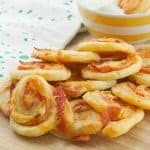 These started out as palmiers. 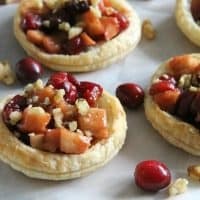 After making them once I decided I didn’t really like how they looked, so I changed it up a little and that is how these cranberry apple walnut tarts came about! Now making them will take a few steps but it is so worth it in the end. One thing you have to do is score the edges. What does that even mean? Basically you want to cut a little line about a ½ inch from the edge. This way when the pastry cooks it will separate just a little from the edge. This helps when wanting to make a well in the center of the pastry. When you are done cooking the puff pastry then you need to recut the line and remove the tops. 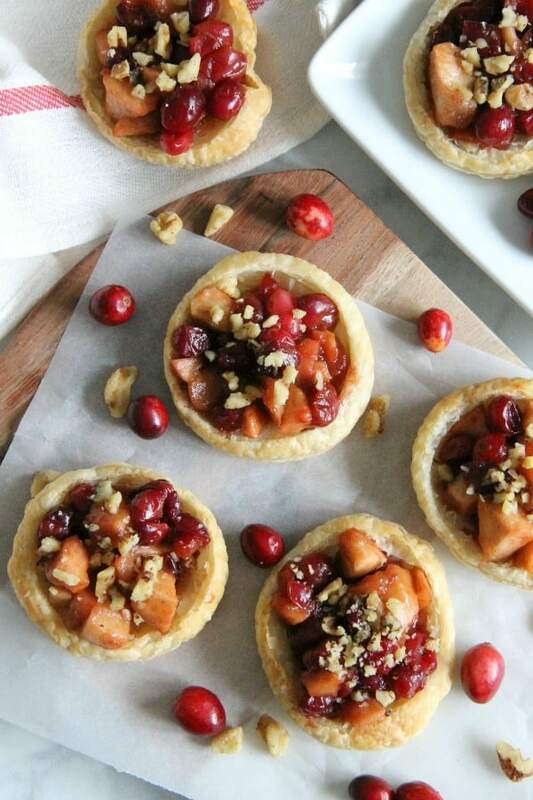 You now have a little center or hole in your pastry where your filling will go. 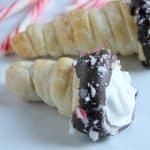 The filling is simply amazing! I was eating it with a spoon because it was so good! 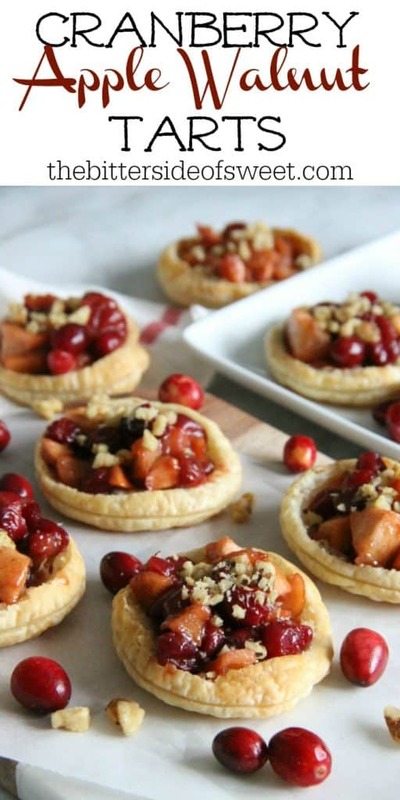 I used cortland apples that I bought from the store. They were local and freshly picked. They are also super white inside, which kind of freaked out my kids. It had been a long time since we saw these type of apples. You can definitely use any variety you want but these worked well. 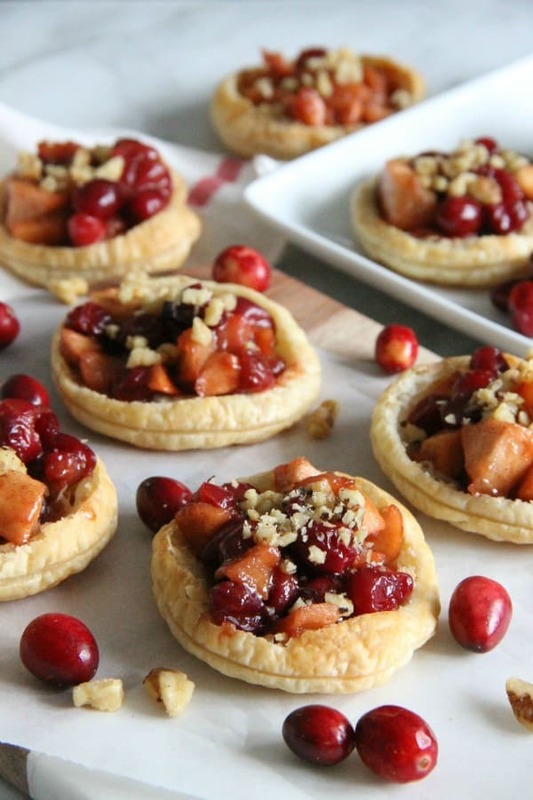 Because I love using cranberries right now, here are a few more recipes to enjoy! These cranberry pecan muffins sounds so delicious! 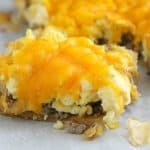 Just perfect for breakfast! 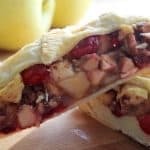 If you like cranberries with puff pastry try this cranberry apple strudel! It’s so good! Looking for something savory? Try these pear and ginger brussels sprouts! 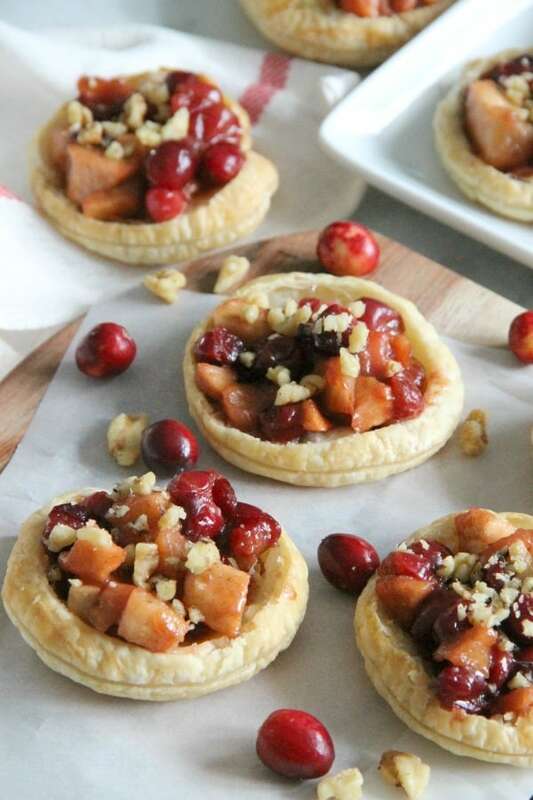 For more cranberries and puff pastry recipes check out these orange cranberry turnovers or these cranberry palmiers, that actually turned out well! ENJOY! Preheat oven to 400°F. Line baking sheet with parchment paper. Set aside. On a lightly floured surface roll out puff pastry into a 10x10 inch square. Cut 9 (3 inch) circles and place on parchment paper. With a sharp knife lightly score about a half inch from edge in a circle shape careful not to cut through pastry. Remove from oven. Using sharp knife carefully rescore the edges and remove centers to make a well. Set aside. 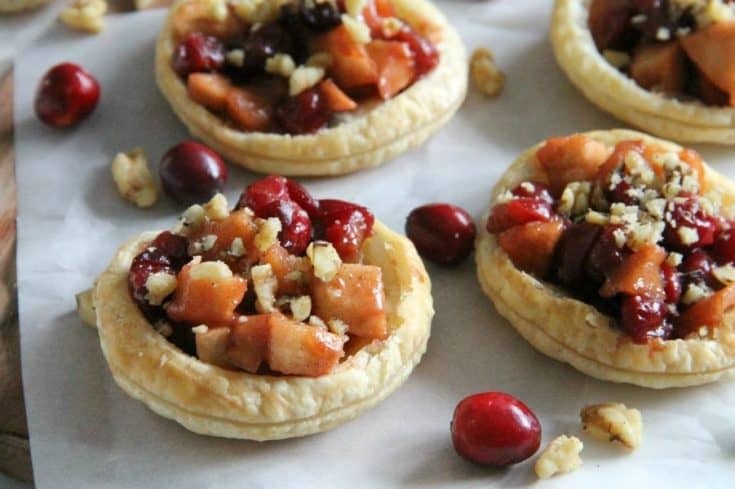 In small pot add apples, cranberries and butter. Cook on medium heat for 2 minutes or until butter is melted. Stir often. Add brown sugar and cinnamon. Continue stirring and cook for 4 minutes. Set aside to cool. When pastry has cooled, evenly divide cranberry mixture into the center of each pastry.